If you talk to people about wanting to visit Disney for the first time you will get all sorts of advice. People will tell you where to eat, what rides are best, and what you should see on your trip. However, the most hotly contested topic I’ve heard is the best age for a child’s first trip to Disney. Elizabeth turned 3 years old on our first family trip to Disney. I (of course) think just shy of 3 years old is a great age for a first visit, but I wanted to hear what other family travel bloggers thought based on their experiences. My fellow travel experts fell into two categories: the younger the better and wait until they are older. No real surprises there, but what I did find interesting was those who thought younger was better intended to return to Disney sometime in childhood. So really it looks like you should ask yourself this important question: Is this potentially a once in a lifetime trip to Disney for my child(ren) or will we plan on visiting again? If you plan to visit a Disney park more than once in your child’s life the experts say go whenever you please. Many of the family travel experts took kids under the age of three because the situation was favorable to go at that particular time. We chose barely under three years old to avoid paying for park entrance and meal plan fees. Others waited until kids were closer to school age to reduce some of the height restriction limitations. For the younger the better group here are some general pros and cons of the age bracket and specific examples of experiences at certain ages. The overall response from those who took small children to a Disney park in this age range was that everyone had fun. Each family had at least one very special moment the parents will always remember. Even these very young kids were enthralled with meeting the characters and able to enjoy a surprising range of attractions at the park. Kids under three also do not need a park ticket to experience the magic. The main drawback were rides with height restrictions and a young child’s lack of stamina. Many parents (including us) needed to go back to the hotel mid-day to allow children to nap. This age group also tended to miss out on nighttime fireworks and parades. The other main downside is that the child will not remember the trip. I personally believe that just the experience in the moment for them and your memories are enough to justify a trip, but that is a decision each parent must make for themselves. Find out more of our tips for taking toddlers to Disney World. 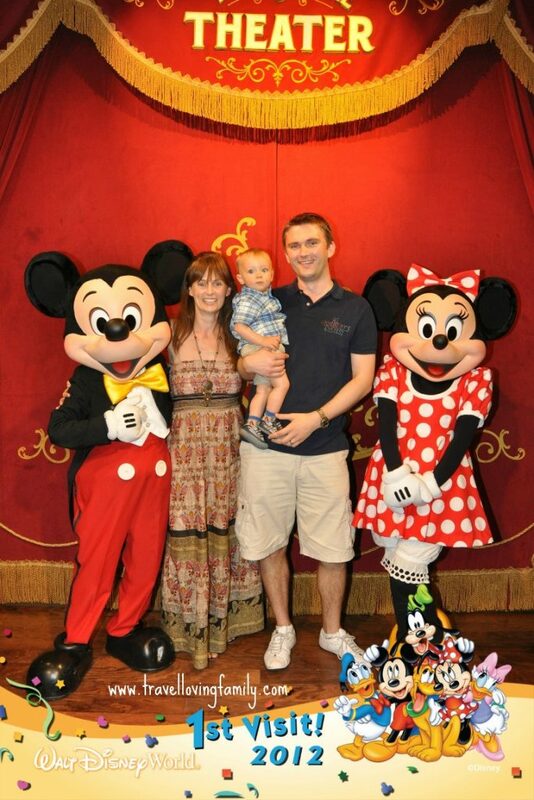 “We visited Disney World, Orlando when our son was just 11 months old. We were living in Savannah, Georgia at the time and were just about to leave to return to the UK after three years. Orlando was only a four hour drive away and so we obviously couldn’t leave without introducing our son to Mickey and Minnie Mouse! 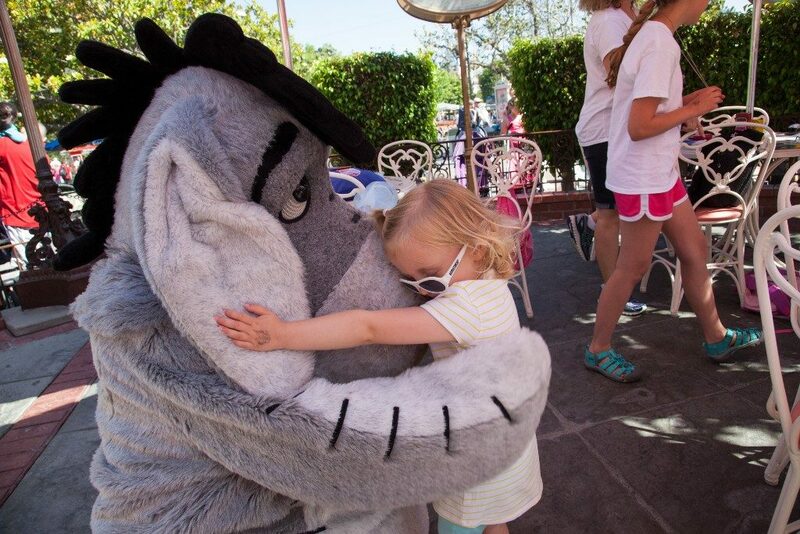 “My daughter Emmie was 18 months old when we first visited Disneyland, and those magical days started a love affair for both of us that sees us return to Anaheim at least once a year. Watching my toddling child mesmerized by princesses, hugging Mickey and Minnie Mouse and dancing with Tigger made me teary with happiness every day. It truly was a magical time for both of us, made so special because of her young age and the surprise and joy she showed at the fairy-tale surrounding her. 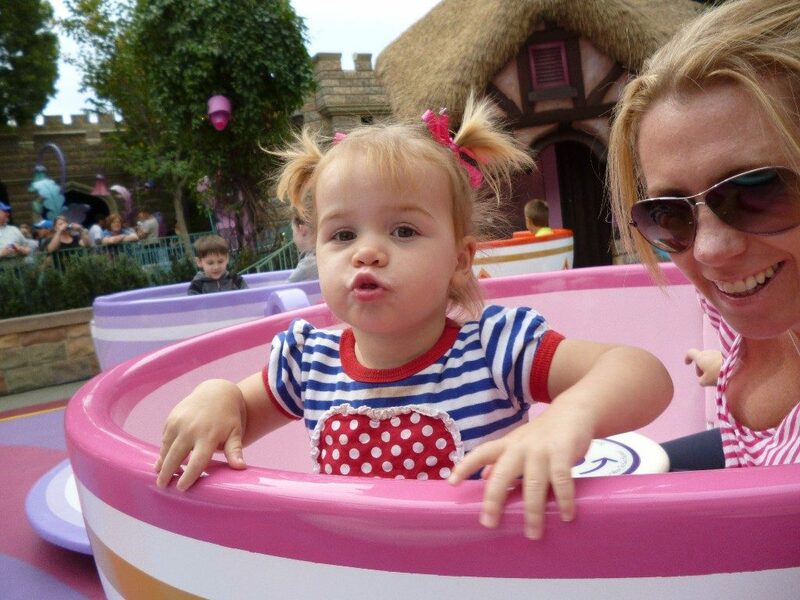 “Since I have every intention of taking them back when they are slightly older, and our time in Europe is limited, we felt 18 months was the perfect age to take our Baby Girl to Disneyland Paris. At 18 months, she was able to ride everything that her brother wanted to ride. Anything without a height restriction, she was welcome to join. I didn’t have to worry about her sitting up next to me since she was big enough to sit with the bars down. She was old enough to understand that one sits in a moving vehicle. 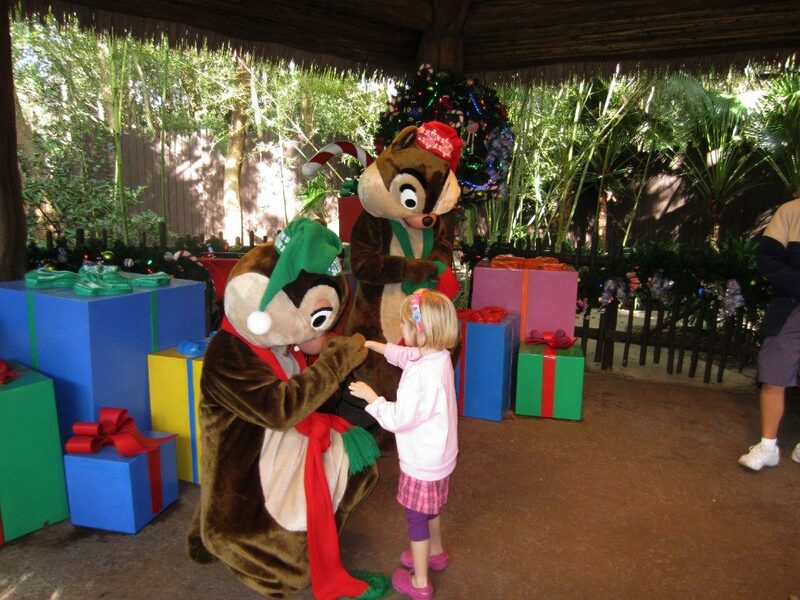 Through creative activities, we were able to keep her calm during the slightly longer lines for attractions – though picking the perfect time of year to visit Disney is also part of this strategy. We celebrated Elizabeth’s 3rd birthday in the middle of our first Disney vacation. This was by design. If we arrived before Elizabeth’s 3rd birthday we did not have to pay for park tickets or a meal plan. And we all know that can add up! 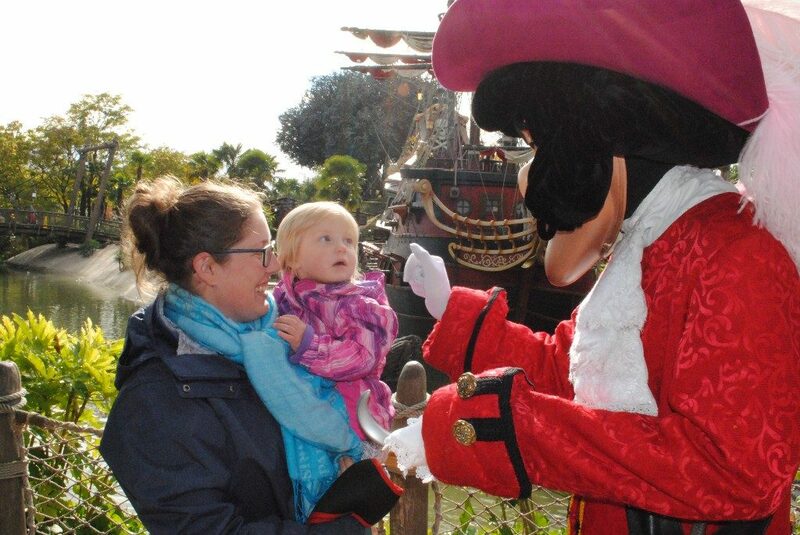 She loved meeting the characters (except the princes) and was able to go on most of the rides at Magic Kingdom. There was a special magic we experienced this first visit. The wonder and excitement in Elizabeth’s eyes made the trip far better than I had hoped. Our trip was so magical it started our Disney obsession (so be warned!). There are so many wonderful memories from this trip for my husband and me. One of the most special experiences was with Belle. On Elizabeth’s birthday we celebrated at Akershus Royal Banquet Hall. Belle is the featured princess who greets you before you are seated. 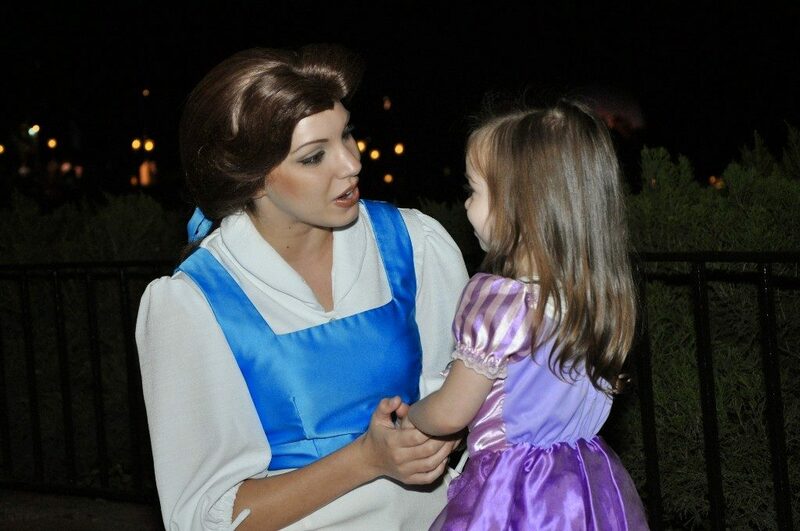 The next day we saw Belle again in Epcot and Belle immediately recognized Elizabeth. Elizabeth was so excited that Belle remembered her. Elizabeth couldn’t stop talking about how Belle knew her! Next up let’s talk about pre-school age kids. This age fares much better in the stamina department and could make it through the day better than their younger counterparts. Children in this age bracket were generally taller and got to experience a few more attractions at the parks. They were still enthralled by character experiences and marveled at the wonder of the Disney experience. The biggest downside is now you must pay for tickets and food. Another challenge is children this age were still not able to fully experience all the parks have to offer. Holly at Four Around The World shares that having a younger sibling meant that not everyone could ride all the rides together as a family. 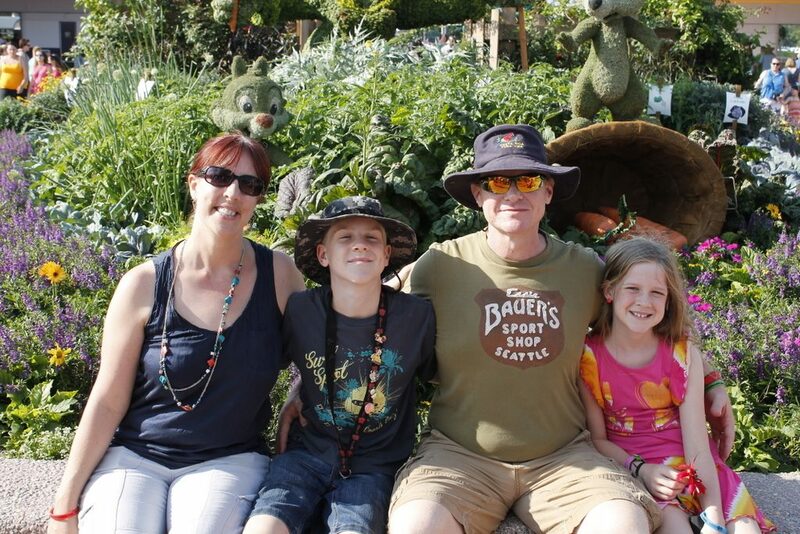 “We recently visited Disneyland with our two girls, aged 4 and 2. 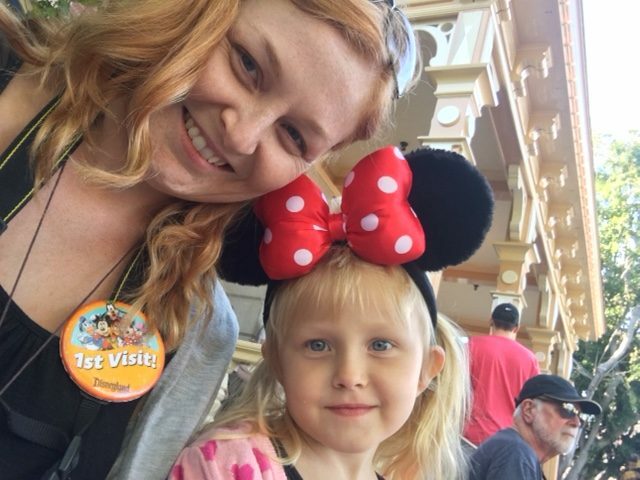 Both girls had a great time and Disneyland certainly caters to everyone, however our 4 year old got to experience so much more than her younger sister, which also influenced our visit as a family. From 4 (years old), many kids are old enough to ride most moderate thrill rides when accompanied by an adult. This meant pairing up most of the time so one of us had our younger daughter and the other got to enjoy the rides with our four year old. It definitely would have been great to enjoy all the experiences as a family. If you think that you will only go to Disney once during childhood the recommendations vastly change. And that makes perfect sense! This is a pricey vacation, and you want to get the most out of your experience. 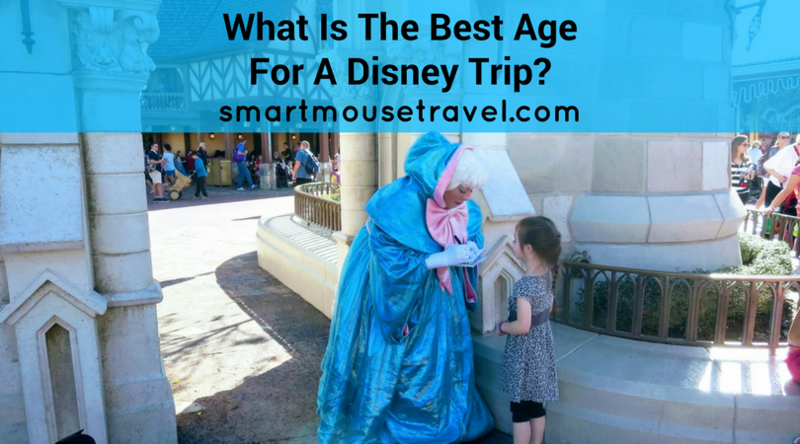 The main pros of taking an older child to Disney is the height restrictions are no longer a concern, you can manage long days at the parks, and they will better remember the trip over those taken at a younger age. The main downside of waiting for a trip until your child is older is that some of the “magic” may be diminished. 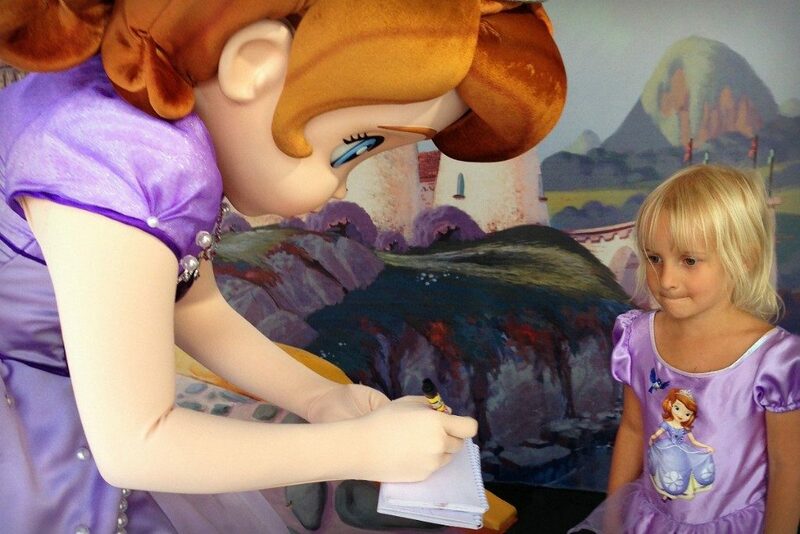 Your child may not have the same kind of joy at meeting Mickey or the princesses that a younger child would have. Or some of the classic rides will seem a little lame to your older child. Although I am over 18 and still absolutely love characters and classic rides! In the once in a lifetime group, the general consensus was that 10 years old is about the perfect age for this extravagant trip. “We went to Walt Disney World when I was 10 years old. My parents felt, and I soon agreed, that this was the perfect age because I could ride EVERYTHING. There wasn’t a single ride that I wasn’t allowed on due to height restrictions or would be scared of. I was old enough to understand the safety protocols of being at such a large place with such big crowds. 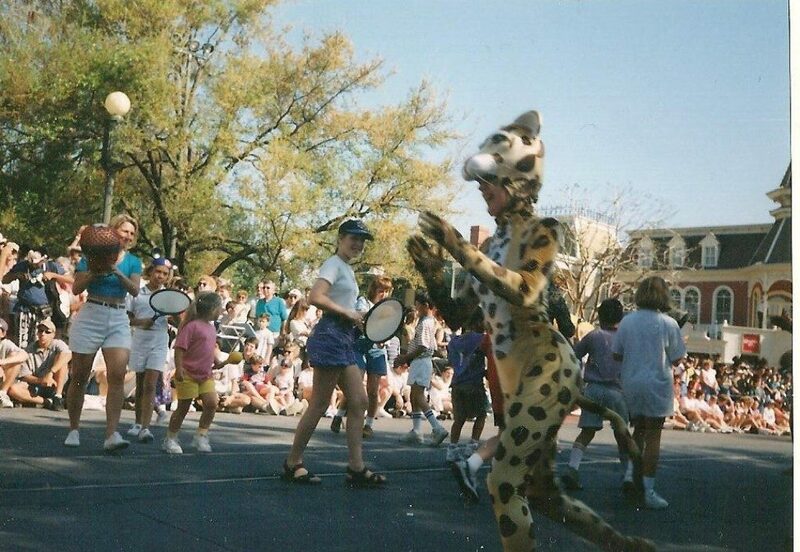 I was able to follow directions and therefore was selected to participate in the mid-day parade, unlike the many toddlers and preschoolers that desperately wanted to join me – simply because I was able to do it. I didn’t need naps, I was able to keep my emotions relatively in check if something went wrong, waiting in lines wasn’t nearly as horrible than someone waiting an hour for a ride with a small child. The Character meals felt better worth their money because we weren’t such picky eaters and weren’t afraid of the characters coming to see us. I have enjoyed every single trip to Disney. Our visits to Disney have been amazing regardless of Elizabeth’s age. Each trip brings new memories and tons of fun in the moment. It certainly does get easier to visit the parks as they get older, but I would still go back in time and take that first trip at 3 years old all over again. As I read through their experiences one thing came through from each of these families. Every single family had a magical trip regardless of age. Not one person responded that they were unhappy with the age they chose for a first trip to Disney. 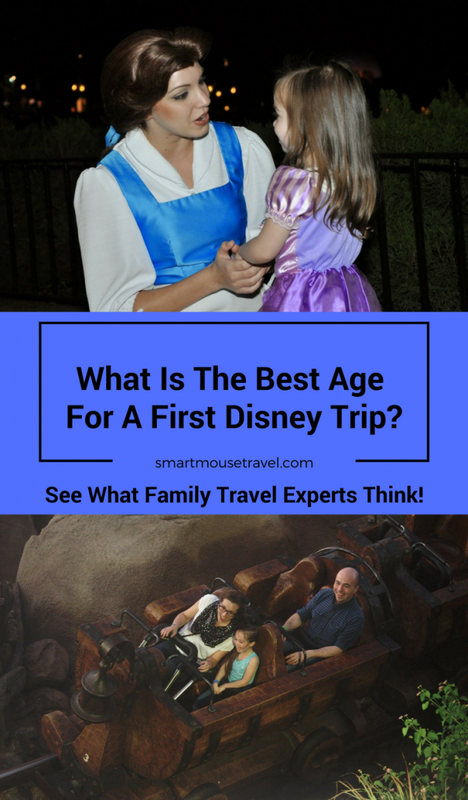 I think the most important thing when planning a trip to Disney isn’t necessarily the age of the child, but to design the trip for your family. Read about the things I wish I had known prior to our first trip with Elizabeth. I hope this article has given you some real life perspective about what to expect when taking a child for a first (or only) trip to Disney. Each age will have its own joys and challenges. Choose what is best for your family and plan around that. There is no wrong age for a first trip to Disney! Now get out there and get planning! Next Post:What are runDisney Virtual Running Shorts? Thanks for including us! This makes me want to go back again! Such good fun! Such a great post! I like the idea of visiting at different stages so they can enjoy it on different levels! We did wdw when my son turned 6, and daughter was 3.5. They loved it! This summer e are doing DL w a 6 and 8 year old! Our daughter’s first trip was at 22 months. We have some wonderful memories of it, but she does not. We knew we would be going back again. The other consideration for going with younger children is how much gear you need. It was a lot easier to go without a diaper bag. Thanks again for featuring me! We truly loved Disney at every age, and fostering a love of travel at a young age will continue to grow as the kids get older… even with Disney! Great post, I love disney think I will go till very old!